As a 25-year resident of the City of North Lauderdale, it has been a privilege to serve the residents of District A. In the four years I have served, I have focused on strengthening our community supports, expanding educational opportunities, and furthering economic development. By leading efforts to have 2-1-1 Broward co-locate with the city, residents now have greater access to free and low-cost community supports. In working with Broward Sheriff’s Office and Broward County Public Schools, we have secured the placement of school resource officers at our schools. We have formalized our partnership with the business chamber with our neighbors to the west, and we now are proud partners of the Tamarac/North Lauderdale Chamber of Commerce. In my time on the commission, we have accomplished a lot but there is still more to do. We must continue to promote community mental health services, foster greater community learning and support our local businesses to keep North Lauderdale moving forward. 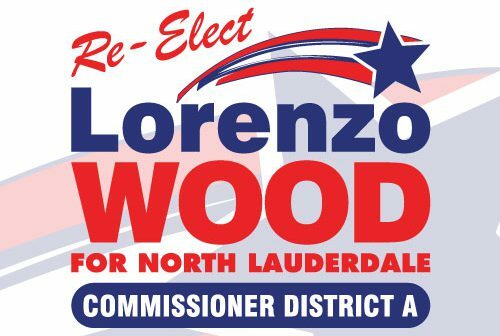 I am Lorenzo Wood, and I am proud to be your Commissioner. With your support on November 6th, we can continue the great work we’ve started.